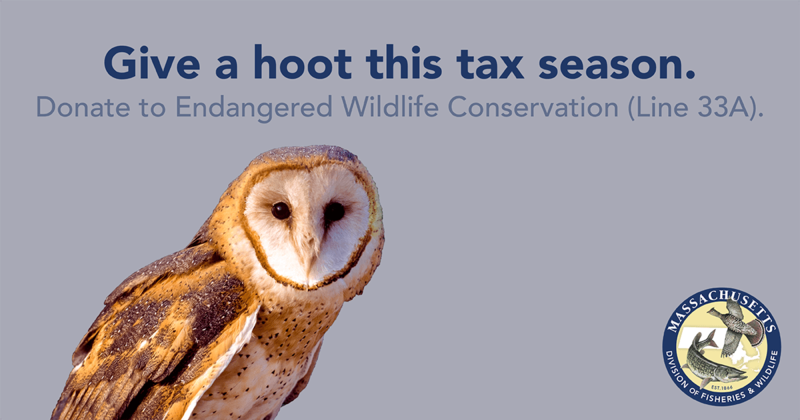 SUPPORT ENDANGERED SPECIES THIS TAX SEASON! Home/BBC News/SUPPORT ENDANGERED SPECIES THIS TAX SEASON! 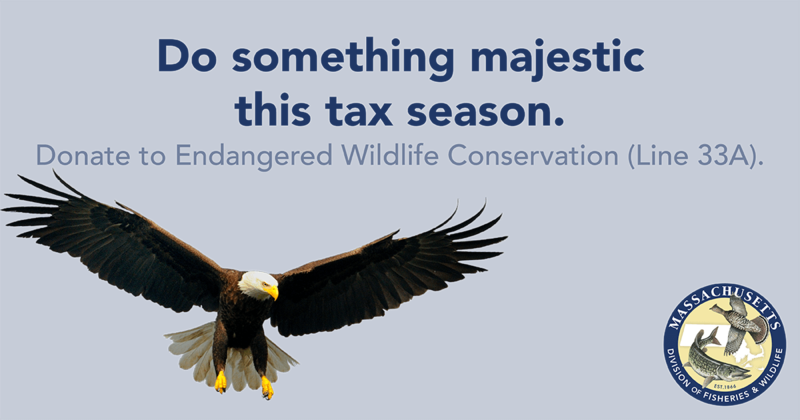 Support the Massachusetts Natural Heritage and Endangered Species Program! 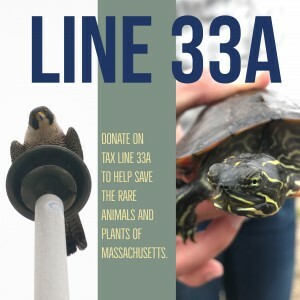 *You can donate when filing your Massachusetts state income tax by entering an amount on Line 33a*: “Endangered Wildlife Conservation”. A critical part of the funding equation for the MA Natural Heritage & Endangered Species Program are your voluntary contributions on your Massachusetts state income tax form. If you care about the future of our wildlife and wild places here in Massachusetts, please contribute. Contributions and the number of contributors rose between 2015 and 2016! Total contributions rose from $ 209,886 in 2015 to $ 302,604 in 2016, an amazing gain of 44.1 %. The number of contributors via the tax check off rose by 23.9 % to from 19,364 in 2015 to approximately 24,000 in 2016.Over the past year, contributions are up $ 92,718 on tax returns and about 4,600 more filers contributed.Additionally. other donations last year totaled $6,103.This represents a significant increase over levels of the last several decades. There’s plenty of room for improvement, however. These numbers mean that of the approximately 3.3 million income tax filings in Massachusetts, only 0.7% made a contribution! For additional details, see below. You’ll also find additional ways to support NHESP’S efforts and some simple tips for spreading the word. Your help is making a difference! Thank you for your support of this important program!